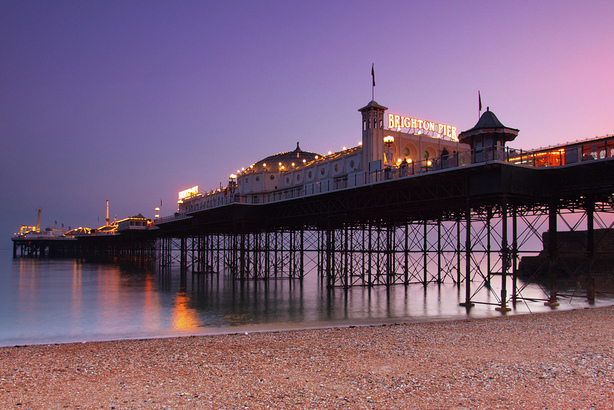 Brighton and Hove, often referred to just as Brighton, is situated on the south coast of England. Its location, as well as its diverse communities, shopping areas, vibrant nightlife, large cultural, music and arts scene, have made it a popular destination for tourists. Brighton is fun, cosmopolitan and eccentric. It is also called the “UK's hippest city” and the “happiest place to live in the UK” and, because of its large LGBT population, attracted by its bohemian atmosphere, easy going attitude and raffish air, it is considered the "gay capital of the UK". The main attractions in Brighton are the amazing Royal Pavilion, a Indian-style former royal residence; the Regency architecture that characterizes the city; the Victorian Sea Life Centre, the oldest operating aquarium in the world; the Brighton Pier, with its funfair and arcade; the Brighton Wheel and the pebble beach, full of bars, restaurants, nightclubs and sports facilities. The city really offers something for everyone and you can find everything in walking distance. Brighton's nightlife is world famous. The city hosts some of the coolest clubs of the UK and offers every kind of music. Moreover it has a huge amount of pubs and bars, especially the Hanover area, and you can find a pub for every taste: many of them offer food, others play live music, some house video games... and them all serve great beer! Brighton is a paradise for shoppers. From the independent shops and boutiques of the Lanes to the mix of the ethnic, exotic and funky of North Laine, from the street markets to the big stores such as Churchill Square, Brighton's wide shopping portfolio is able to satisfy the tastes and needs of everyone. Brighton experiences a marine west coast climate, characterized by warm summers and mild and rainy winters. Brighton railway station is the most important station in Sussex, moreover the city has an extensive bus network covering the whole city, a large number of taxis and an electric railway that is the oldest in the UK and that operates between Brighton Pier and Brighton Marina only from March to October.